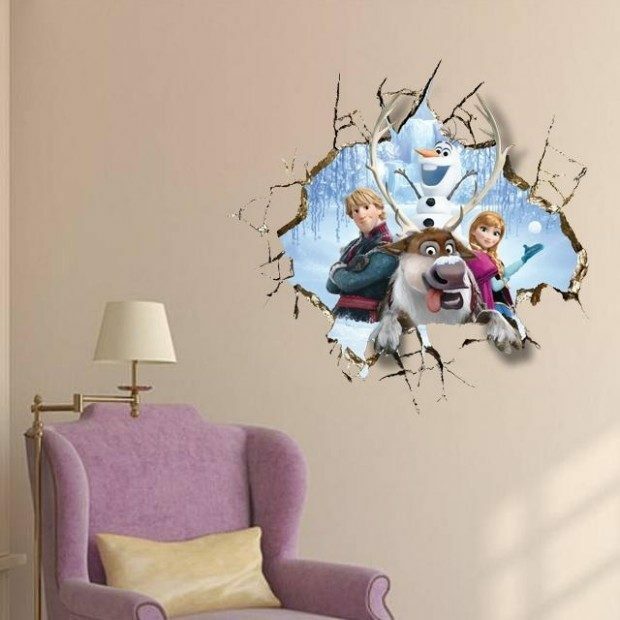 Frozen Inspired 3D Wall Decal Only $7.04 Shipped! You are here: Home / Great Deals / Frozen Inspired 3D Wall Decal Only $7.04 Shipped! Let the Frozen gang “break” into your child’s room! Order the removable Frozen Inspired 3D Wall Decal for Only $7.04! Ships FREE! Frozen themed bedroom wall sticker. Removable, waterproof, easy to clean, and easy to Install. Just peel and stick on the wall!